From April to October (well, this group basically rides year-round), we provide 3 rides during the week for the early risers. In 2018 we will officially meet every Monday, Wednesday and Friday at Walgreens South at 5:30am. 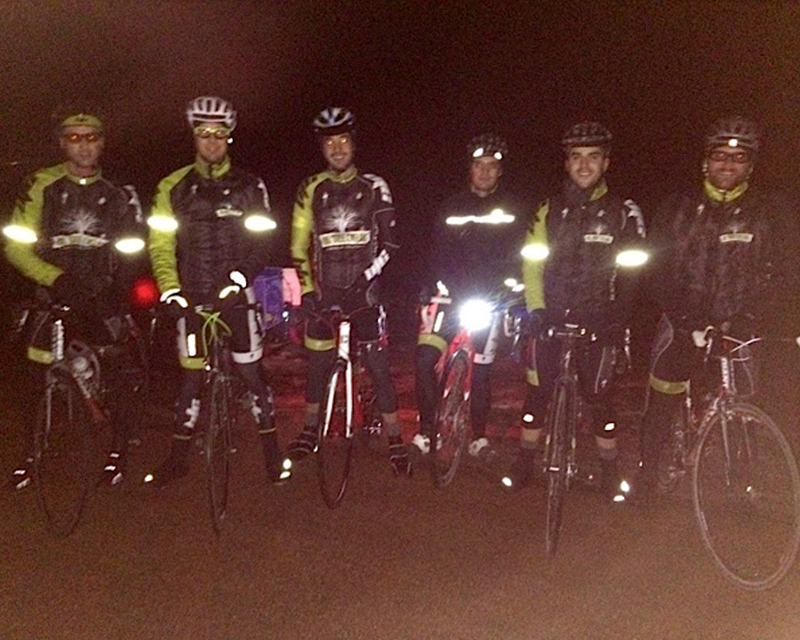 The Vampire Ride is our most unique and often confusing group ride. The word "vampire" itself leads many people to conclusions about our early morning rides - some of them accurate and some of them not. Like a well-manicured mustache, vampires are usually creepy and should not be left alone with children. But also like the most decorated lip sweaters, some vampires represent a magic you just can’t find anywhere else. And those are the #vampirecyclists. While most humans still dream and digest their casseroles, we know that our beauty is beyond repair from sleep and the best conversations happen before 7 am. We roll out of bed while our families saw logs and meet at 5:30 am to regale each other with tales of donuts, tightpants and calf tattoos. Someone once asked if we actually drink blood as our namesake would imply. The question was obviously ludicrous, because of course we do. A lot of it. But we do it with a lighthearted humor and a mindful focus on making the mornings great again and saying things we couldn’t possibly get away with at work and working together to take Strava segments from people who earned them on their own. The mornings are ours, and if you are ready to put the rubber down with us before we’ve brushed our teeth, they could be yours too. The Vampire Ride is not about riding as fast as you can (although you can do that too) or training for races (but some of us do) or showing off your chiseled calves (actually it is definitely this). We ride to start our days off better than any other way we know, and that is with a group of friends who take to the road for no other reason than loving bikes and making our friendships stronger. We are there to have fun and watch the sun come up. Waking up that early is terrible, but it’s worth it. Like LeMond said, "It never gets easier, you just get fatter and slower if you don’t do it and you probably don’t hear as many jokes and also you should prepare your coffee and lay out your kit the night before." I think that’s verbatim. 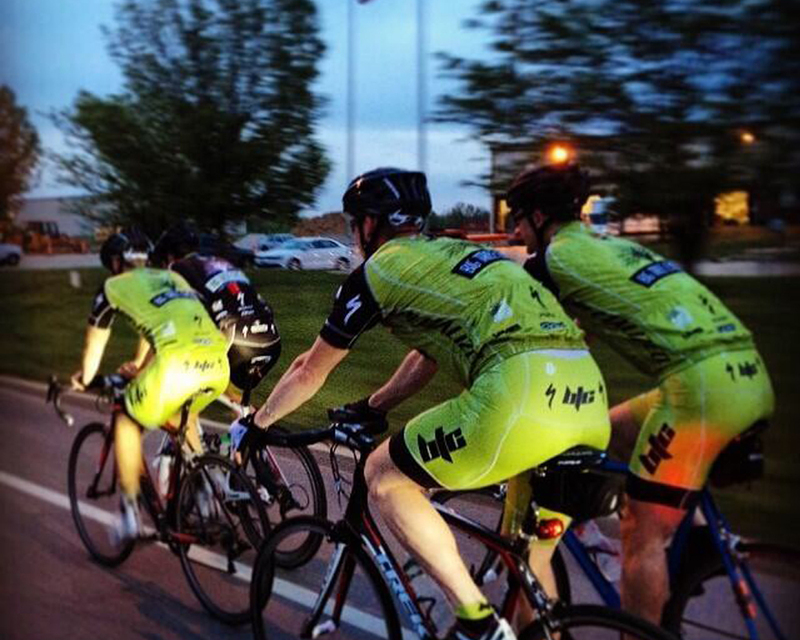 Our groups are usually 6 to 15 people, pace about 18-19 mph and friendship levels have been turned up to 11. On Fridays we swing through @haroldoughnuts for some fuel, and many days you will hear sweet tunes coming from @ninjatron's loins as he blasts our soundtrack from his Jammypack. Our ride is unique, and our #vampirecyclists are what make it great. Come out and learn the secret of how incredible your day can be when you’ve bagged some climbs, listened to fannymusic and watched the sunrise with your amigos all before work. Your zippers on your jerseys and the seams of your old bibs will thank you. *Follow @ninjatr0n and @bigtreecycling for pictures of sunrises, tightpants and bike lanes littered with our victims. 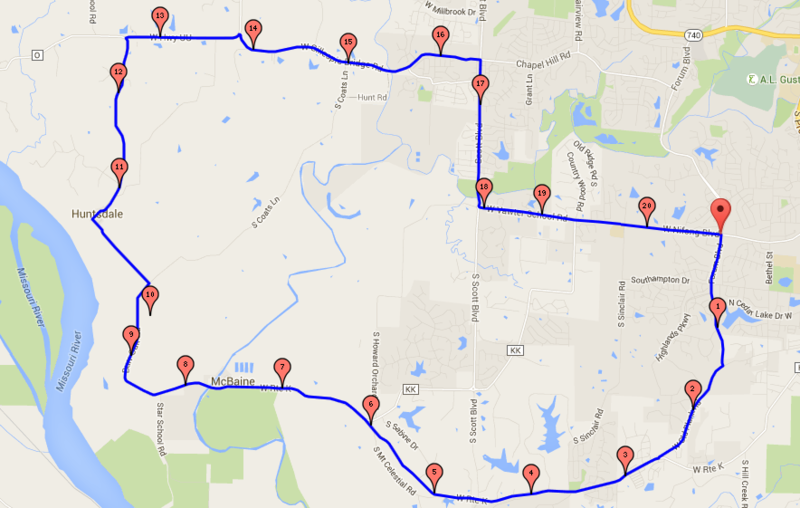 The City Loop route is fairly flat with a couple of short climbs. In the middle of this ride we participate in what we call the "tight pants doughnut dance" at Harold's Doughnuts. You guessed it - middle aged men in spandex, one wearing a jammypack, dancing, eating doughnuts in downtown Columbia just after the sun rises. 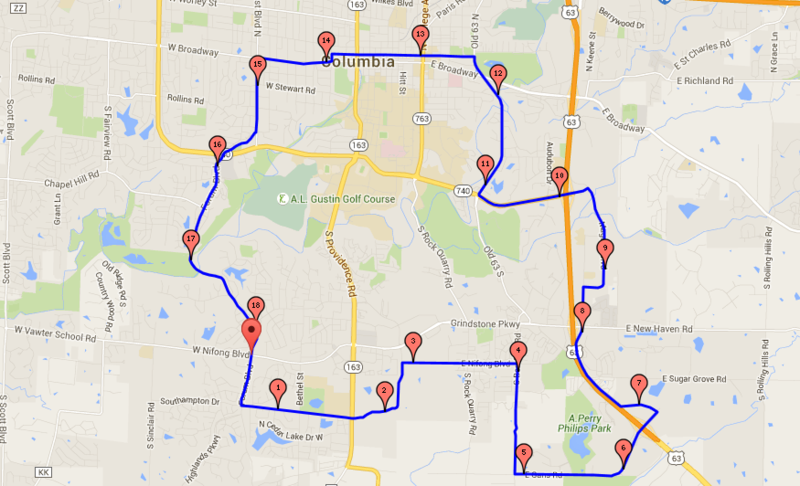 The Big Tree loop is one of the most well-known cycling routes in Columbia. The route passes by the magnificent Bur Oak Tree in McBaine, MO, which is the largest Bur Oak tree in the nation and the largest tree in Missouri. It is estimated to be over 350 years old. The infamous tree has it's own Facebook page and a blog dedicated to it's existence. Check out this video for some interesting Big Tree history. 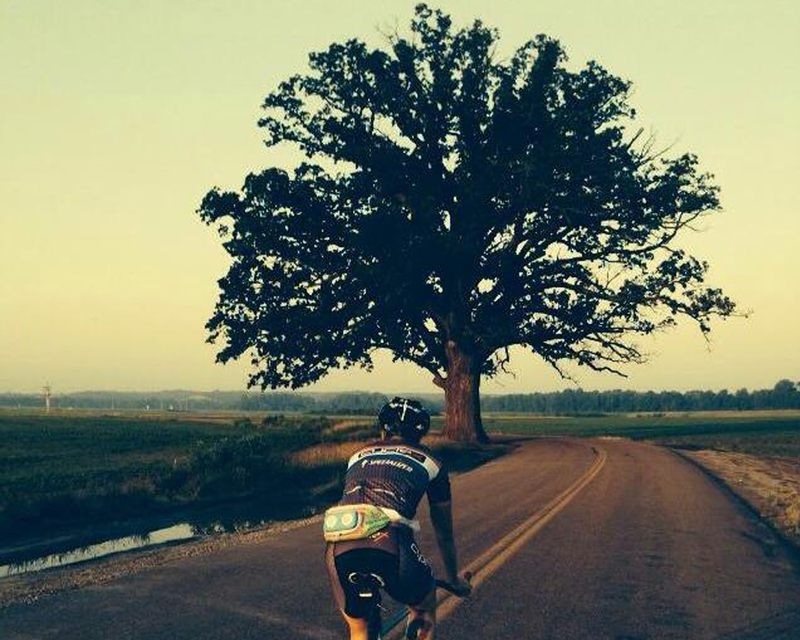 The "Big Tree" happens to also be the namesake of Big Tree Cycling and our sponsor Bur Oak Brewing, as well.  The Big Tree Loop offers a variety of speedy flat sections as well as some challenging climbs and exhilarating descents.